In the All Things Pesky universe, overdraft fees rank right up there with mismatched socks and next-door neighbors who vacuum in the dead of the night. According to data from BankFeeFinder.com, Americans pay an average of $329 in bank fees annually. What’s worse, one in 10 pay a whopping $1,000 a year in fees. This includes fees for non-sufficient funds (NSF), monthly maintenance fees, ATM fees, overdraft charges and more. Just think: This money could go toward your living expenses, emergency fund, that awesome vacay—anything is better than paying your bank for holding onto your money. Based on recent data released by the FDIC, the 10 largest banks in America collected $11.45 billion in overdraft and NSF fees from American consumers in 2017. What’s more, a recent survey by Moebs Services reveals that consumers paid a whopping $34.3 billion in overdraft fees in 2017 (this includes overdraft fees from big banks, smaller banks, and credit unions). This is the highest since the Great Recession in 2009, and a three percent increase from 2016. With that much money going toward mere overdraft fees, you may think twice before reaching for your debit card to make transactions. In our age of money micro-transfers, a small misstep can oftentimes result in a series of overdraft fees. I know because this has happened to me. For instance, you can get dinged financially for not having enough in your checking account when an automatic investment hits, or even when you buy groceries at the market. According to Moebs Services, the median overdraft fee in 2000 was $18. It’s now at $30 (most of the big banks charge an average of $35.) And credit unions aren’t much better. In 2000 credit unions charged a median price of $15; in 2017 that fee is up to $29. It’s a sad reality when credit unions, typically known for lower fees, aren’t cutting consumers any slack when it comes to overdraft fees. According to analysis from the non-profit Center for Responsible Lending, at least one of the top 10 big banks do the following: charge extended overdraft fees on top of per-transaction overdraft fees, use high-to-low transaction processing for some forms of debit transactions, and allow five or more overdraft fees to be charged per day to its customers. Indeed, some of the big banks are still manipulating transactions to wrangle as much money in fees from you as possible. Many customers who incur overdraft fees aren’t well informed about how overdraft protections work, according to a recent study by Pew Research. As It turns out, many consumers aren’t aware that if they don’t have enough funds to cover a transaction, they can actually decline the purchase and not have to pay an NSF fee. The same Pew Research study also showed that banks ineffectively communicate with consumers about overdraft protection programs. What’s worse, even among customers who had a straight-up convo with their bank, their understanding of exactly how overdraft programs work was pretty low. This cloud of confusion can result in even higher bank fees. Case in point: Per the Pew research on overdraft programs, one in three of those who overdrafted treat these overdraft programs as a type of loan. For example, when they don’t have enough funds in their bank account to pay for those groceries, they use overdraft programs as way to borrow small amounts of cash. Indeed, overdraft programs are not loans and they don’t save you money. As it turns out, people with overdraft protection usually pay $450 more in bank fees, per a recent study by the Consumer Financial Protection Bureau (CFPB). It’s no surprise that many of those who frequently incur overdraft fees are also financially vulnerable – meaning they tend to have lower credit scores and account balances than those who don’t overdraft as often. If you want to avoid overdraft fees entirely, look toward Chime. Chime’s fee-free structure means you won’t ever have to incur bank fees. You won’t have to pay overdraft fees, monthly maintenance fees, foreign transaction fees, or minimum balance fees. Plus, you can enjoy ATM withdrawals sans fees from over 38,000 MoneyPass ATMs. An overdraft occurs when you don’t have enough funds in your account to cover a transaction. In turn, your financial institution (i.e. bank or credit union) pays for that transaction. A fee may be charged for this service. You can overdraw your account by paying for bills, writing checks, withdrawing money from ATMs and shopping online. In the case that your bank account balance falls under zero, overdraft protection provides a guarantee that your debit card transaction will clear. When you opt-in to overdraft protection, the financial institution takes money from a linked account to cover the transfer. A fee is often tacked onto the transaction. Non-sufficient funds (NSF) is a common banking term that means you don’t have enough money in your checking account to cover a check, online bill payment, or debit card transaction. Sad truth: Americans are spending more on overdraft fees than ever. In fact, the 10 largest banks in the U.S. collected $11.45 billion in overdraft and non-sufficient fund (NSF) fees in 2017, according to recent data released by the FDIC. Staggering? You bet. So why are we overdrafting, and what types of expenses tend to cause the most overdraft fees? Let’s dig in to see why you may incur overdraft fees in the first place, and how you can prevent these charges. Read on to learn more. That’s right. You’re probably not overdrafting because you spent too much on a pair of YSL boots. (And if you are doing this, we need to talk.) Based on a survey conducted by Pew Charitable Trusts, three out of four overdrafters had trouble paying their monthly bills in the past year – everything from rent, to Internet service to other utilities. If this sounds like you and you’re short on funds, look out for overdraft fees. Ideally, you should have enough money in your bank account to cover your bills each month. But if you’re falling short, consider calling your billing companies to explain your situation, and see what promos or discounts they can offer to you. I aim to do this at least once a year. You can also research competitor rates and put on your negotiating hat. According to the Bureau of Labor Statistics (BLS), from 2015 to 2016, Americans spent more moola on bars and restaurants ($54.857 billion) than on groceries ($52.503 billion). While there’s no direct evidence that this leads to overdraft fees, a night out bar-hopping or fine dining when your pocketbook can’t handle it can result in non-sufficient fees. Keep in mind: It’s much harder to control how much you’re spending when you’re enjoying a night of revelry than when you’re cooking at home. If you’re dining out, set a limit on how much you want to spend. Take out cash as necessary, and spend only that much. You can also set alerts on your debit and credit cards. And, if you’re using credit to pay for dining out and you’ve gone overboard, you may be able to temporarily freeze your card. Of course, you can also consider eating out less frequently. Another option: a meal kit delivery service. These services often run introductory deals and can be a fun way to eat at home and save money on those expensive nights out. Sometimes you may get dinged with an overdraft fee simply because you’re not paying attention. I once overdrafted because I spent too much on my credit card in a given month, and forgot to transfer money to cover the higher-than-usual balance. Whoopsies. If you’re treading financial hot water—or close to it—check your bank account balance religiously. I check mine every morning. This way I can keep close tabs, and if I’m running dangerously low on funds, I can tighten my spending or transfer funds. You can easily do this too with a bank or money management app. It takes only a couple of minutes to possibly prevent an expensive overdraft fee. You’ve heard the classic personal finance rule: You need an emergency fund. But easier said than done, right? If anything, aim to save a couple hundos as a money cushion. According to research by EARN, a non-profit that helps low-income folks save, $250 to $500 was enough to cover a financial shortfall in a given month. That’s likely also enough to cover your bills when you’re having a lean month. So, make it a priority to have a bit of padding. The easiest way is to auto-save. If you’re a Chime Bank member, you can set up a rule to auto-save a portion of your paycheck. So if your take home pay every two weeks is $1,500 and you commit to saving just two percent, that’s $30 every two weeks, $60 a month, or $720 a year. You can do this simply by brown-bagging it to work a couple days a week, or skipping a latte during your afternoon break. You can also stash extra cash by saving a portion of your annual tax refund, a bonus from work, or “extra cash,” such as a gift from your Aunt Janet for your birthday or Christmas. Does this sound like you: You overdraft because you look at it as a way to borrow money when you’re short on cash. Yet, nothing can be further than the truth. Overdrafting is not a loan. If you’re feeling financially pinched before payday, consider changing due dates for your bills so they coincide right after you get paid. This way you’ll be in the flush and can afford to cover your bills. Whatever is left over can be used for discretionary expenses—food, gas, personal items, clothing, entertainment and other costs. If you’re a gig economy worker, you can even align your bills with payments from certain clients. So, if you rake in $500 a week as a rideshare driver, designate that particular paycheck toward your rent and main bills. Money you rake in from other gigs can go toward other spending. Get it? Are You Ready to Stop Overdrafting? Now that you have a better understanding of why so many people overdraft and how easy it is to repeat this cycle, it’s time to make a concerted effort to change your habits. Luckily for you, Chime has your back in helping prevent overdraft fees from even happening. Additionally, Chime provides real-time alerts for each transactions, so you always know where you stand with your account balance. Most Americans own a checking account. And most of the banks who offer checking accounts charge a variety of fees for account holders to use them. What are these fees? Is it possible to bank with paying them? Are there alternatives to traditional banks? We will take a close look at these questions and also compare one of the major multinational banks, Chase, with a new online banking option, Chime, to see who comes out on top in the game of checking account fees. Checking Accounts – What Is The Purpose Of Having One? A checking account is a kind of deposit bank account that allows withdrawals and deposits. It can be accessed using checks, setting up an automatic transfer, or using your debit card. Consumers use this account for paying bills and making most financial transactions. For this reason they are referred to as demand accounts or transactional accounts. Another factor that sets this account apart from a saving account is the fact that there are no limits on the number of transactions you can complete in a month. Also, it allows you unlimited deposits. There are two ways of setting up a checking account – at a bank branch or through a financial institution’s website. Once they are set up, you are able to deposit funds. Account holders can use ATMs, direct deposit and over-the-counter deposits. As we have already mentioned, accessing funds is a lot easier with a checking account. Account holders can write checks, use ATMs or use electronic debit or credit cards connected to their accounts. Even easier, they can set up internet or smartphone applications for making deposits or transfers.The majority of consumers are already informed about the advantages of electronic banking. Advances in this field of banking have made checking accounts more convenient to use. Paying bills via electronic transfers eliminates the need for writing and mailing paper checks. Also, it is possible to set up automatic payments for routine monthly expenses. First, it is good to know that banks often offer different versions of the account for different types of clients. This is the first thing that makes a difference in finding the right bank. There are many features to consider before opening a checking account. Fees: The best account will have no fees or low fees, if possible. Try to find accounts with little to no monthly maintenance fees and large ATM networks tol help you avoid becoming a victim of fine print and ending up with hefty fees. Service Charges: Banks make much of their money by charging fees, and they can charge you for any number of things. For example, there are charges for duplicate bank statements, PIN generation, demand draft, and account balance updates, among other things. The best solution to avoid paying non-recurring fees is to explain the situation to the bank. This is a potential option in the case that you are a customer of a big bank. Customer service representatives at big banks are often authorized to overturn hundreds of dollars in charges if you ask them to cancel the charge. However please be aware of one thing – these are usually one-time deals. Overdraft Protection: Why is it important to choose an account with a lenient overdraft policy? In a situation where you have spent more money than is in your account, the bank may cover the difference. This is known as overdraft protection. Overdraft protection is one way in which banks make a lot of money to the detriment of its account holders. The less you know the better for the bank. Many banks don’t tell customers about charging for each transaction that leads the account to use an overdraft. For example, if you overdraft your account, you will be charged an overdraft fee for that particular purchase as well as for each subsequent purchase after you’re in the red. This is not all, be aware of something else. According to the account holder agreement, many banks have provisions stating that in the event of an overdraft, transactions will be grouped in the order of their size, regardless of the order in which they occurred. At the end of the day, the bank will charge a fee for each of the transactions on the day the account is overdrawn. If you do not cover the amount, your bank may also charge you daily interest on the loan. You can avoid these fees if you choose to link your checking account to another one of your accounts, such as a savings account or line of credit. Another way is by opting out of overdraft coverage. Electronic Funds Transfer: With an electronic funds transfer (EFT), it’s possible to have money directly transferred into your account without having to wait for a check to come in the mail. Additionally, when you use your debit card to make a purchase at a store or online, the transaction is processed using an EFT system. Most banks no longer charge to make an EFT. Direct Deposit: Direct deposit is another form of electronic funds transfer and another feature from which banks are able to benefit. This feature allows your employer to electronically deposit your paycheck into your bank account. Direct deposit is important since it gives the bank a steady flow of income to lend to customers. Because of this, many banks will give you free checking if you get direct deposit for your account. ATMs: Be aware of fees that may be associated with the use of ATMs. ATMs make it convenient to access cash from your checking account or savings after hours. However, sometimes using an ATM from another bank could result in surcharges from both the bank that owns the ATM and your bank. Nevertheless, surcharge-free ATMs are becoming even more popular. They can be as much as $5 or more in different parts of the country. Cashless Banking: The debit card provides the ease of use and portability of a major credit card. Anyone who uses a checking account knows how important it is to keep it safe. Many banks offer zero-liability fraud protection for debit cards. This is one way of fighting against the identity theft and a good way to protect your account. Interest: Those who were thinking about opening an interest-bearing checking account should be prepared to pay plenty of fees. If you can’t maintain a minimum balance, you’ll have to pay a monthly service fee. This minimum amount is typically the combined total of all your accounts at the bank, including checking accounts, savings accounts, and certificates of deposit. Chase is the consumer and commercial banking subsidiary of JPMorgan Chase & Co. It is one of the four largest banks in the United States. Chase does offer basic checking and savings accounts that may be an option for second chance banking customers. The opening deposit fee is $25, and the maintenance fee is $12. Chase will return an item when your account doesn’t have enough money and charge you $34. In the case where they return the same item multiple times, you will be charged the Returned Item Fee only once for for that item within a 30-day period. The good thing is that these fees do not apply to withdrawals made at an ATM. Chime is an online-based account. There are no brick and mortar locations. Rather, all business is conducted through the internet platform or mobile app. It is free to open a Chime account, with no monthly fee required. That means you aren’t required to put any money in to start or to keep a certain amount of money in your account to avoid a monthly fee. There are no ATM fees to use a Chime issued Visa debit card, so long as you use one of the 60,000 approved machines around the country. There are also no overdraft fees to worry about. If an account is in danger of going into the negative, Chime will simply decline the transaction. No charge, no punishment. This world is full of opportunities. Advances in electronic banking and banking, in general, should make our lives easier. So it makes sense to consider the option of online banking, like Chime. There is convenience as well as the benefit of no banking fees. In recent years, several reports from professional publications and media outlets have revealed an epidemic that is affecting bank consumers in the United States. The Consumer Financial Protection Bureau reported that U.S. account holders spent a total of $33 billion in overdraft fees in 2016. On average, one out of ten account holders spent more than a thousand dollars for overdrafts and approximately $300 on other bank fees. Multinational financial institutions charge hefty overdraft fees on their consumers – an average of $34 per transaction, which is equivalent to a 17,000% overdraft loan. Meanwhile, the Pew Charitable Trusts stated in a recent study that some of the smaller institutions follow the price model and multiple fee charges of major banks. The result showed that 68% of the 40 million banking consumers prefer a denied transaction, rather than spending for overdraft fees. These numbers have significantly influenced the profits of various monetary institutions while becoming a burden to cash-strapped consumers. Banks charge penalty fees for individual consumers who withdraw, spend, or make purchases more than the available balance in their accounts. This penalty fee is called an overdraft fee, and it is essentially a fine to cover the cost of the transaction. No overdraft fees. No monthly fees. No suprises. Listed below are four types of overdraft fees besides the standard overdraft charge of most banks. The Overdraft Fee occurs when consumers purchase an item that exceeds their available account balance. It is the most common fee that banks impose on checking accounts, and they may limit the number of transactions per day. Several banks offer numerous overdraft services which vary by institution. The average overdraft fee for major banking institutions, like Citibank, TD Bank, Wells Fargo, and Chase is $34 per item. There are alternative banking accounts, such as Chime and Simple, that do not charge an overdraft fee. Banks impose a non-sufficient funds (NSF) fee when they decline a transaction which overdraws an account balance. When a consumer issues a payment check with insufficient funds in the account, the bank will reject the purchase and may charge an NSF fee to prevent the account holder from issuing further check payments with no funding. Most banks charge a similar amount for overdraft and non-sufficient fee. The NSF fees for the Chase Bank, PNC Bank, and Wells Fargo Bank average $35. The Overdraft Protection Fee or the Overdraft Transfer Fee is the payment charge of banks for every fund transfer transaction made to a checking account from a savings account or line of credit. The Overdraft Protection automatically covers an overdraft with the available funds from the linked account or credit card. Several bank institutions consider credit card settlements as a cash advance, so they impose an added cash advance fee of $10 of 3% of the transaction. Most banks limit the amount of overdraft protection fees, charging only per day rather than per transaction. For example, Bank of America only charges a $10 Overdraft Protection transfer fee per day to their account holders for transferring available funds from their secondary accounts. An Extended Overdraft Fee, sometimes referred to as “extended overdrawn balance fee” or “sustained overdraft,” is the amount that bank institutions charge on top of standard overdraft fees when account holders leave a negative balance in their account for five to seven consecutive days. For example, U.S. Bank charges a $25 extended overdraft fee which starts on the eighth calendar day, and each week afterward if the account holder has $0.00 balance. Why Do Overdraft Fees Occur? ATM Overdraft – the inability for the ATM to communicate with the bank of the consumer, may lead to authorization despite insufficient balance. Intentional Loan – the voluntary overdraft of the consumer is called a short-term loan. ● Authorization Holds – purchases using a debit card will require the signature of the handler. It will commonly take one to five business days to approve the transaction. However, if a failure of permission occurs, the funds will be accessible to the purchaser which may then create an overdraft when spent. Bank Fees – Many banks have hidden charges which consumers do not expect. These fees are deducted from the balance of the account holder which can lead to insufficient funds or zero balance. Identity Theft – Fraud can cause an overdraft, especially if criminals subject an account holder to forgery, account takeover, or phishing. How Much Do Banks Charge For Overdraft Fees? Although the cost of an overdraft fee varies from one institution to another, some banks do not charge its consumers for overdraft, while some have easy-to-avoid overdraft fees. However, big banks charge their account holder an enormous amount of overdraft fees which can range from $35 to $40 per transaction. Chime has no additional fees such as monthly maintenance charges, service fees, minimum balance fees, foreign transactions fees, and most especially overdraft fees. To prevent overdraft, any transactions which would result in a negative account balance will be declined by Chime. Furthermore, they ensure the account holders that they have no hidden charges for any transactions. Capital One offers a variety of products and services such as checking and savings account, money market online, credit cards, auto loans, and overdraft options. It does not charge monthly fees, and they offer free checking and savings accounts with equal interest. However, its overdraft fees are quite high compared to other banks, which is why they included the Free Savings Transfer as an overdraft protection option. This feature allows Capital 360 to withdraw money automatically from the linked savings account if the balance of the account holder dips to zero. They ensure their consumers that there will be no charge in using the Free Savings Transfer. TIAA is a Florida-based bank that provides numerous services from investing, banking, and mortgages in the United States. They also offer overdraft protection for purchasers who have insufficient balance in their accounts. To avoid overdraft fees, the account holder should register in High Yield Savings or Money Market accounts and link it with the Interest Checking accounts. However, TIAA Bank will only transfer money from the savings report in $100 increments, so if the account has an insufficient balance and cannot provide the minimum of $100, the bank will charge a $25 overdraft fee on the account holders. Furthermore, the feature only applies to debit transactions and checks. A multinational California-based financial bank equipped with extensive access to ATMs and efficient online and mobile banking experience. When Wells Fargo consumers purchase products with an insufficient balance on their debit cards, the bank will decline to the purchase. However, Wells Fargo charges their check account holders a standard overdraft fee of $35 with a maximum of three transactions a day (up to $105). They do not charge their customers an extended overdraft fee if their accounts remain negative or maintain a zero balance. PNC provides an Overdraft Protection service which allows their account holders to link their PNC accounts to their respective PNC checking accounts. Usually, PNC pays overdrafts for checks, checking account payments, and automatic bill payment transactions on a case-to-case basis. The overdraft policies of PNC include a $36 overdraft and returned item fee with a maximum of four transactions a day (up to $144). Meanwhile, an extended overdraft fee of $98 ($7 per day) for 14 days will also apply if the available balance of an account holder stays on the red line for five consecutive business days. How to Avoid Overdraft Fees? Here are some tips to avoid costly overdraft fees on bank transactions. Financial analysts have advised account holders to link their checking accounts to their savings so that their own money, rather than the bank, will cover the deficiency. Chime offers a feature which enables its account holders to connect their external accounts to the Chime Spending Account by logging into their online accounts. The process is simple. Select Move Money and tap Transfers. A prompt will appear on where consumers may input their other bank account information to link into their Spending Account. 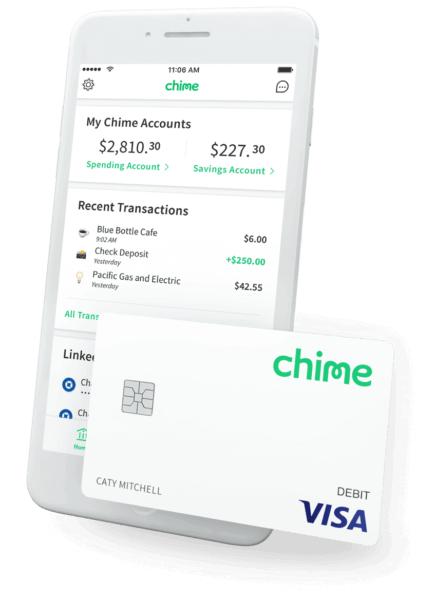 Chime allows transfer fees of $200 a day and $1,000 a month, which will be available within five business days. Moreover, it supports a variety of external accounts including Wells Fargo, Bank of America, US Bank, Citi, PNC Banks, and Capital One 360. Getting an alert from the bank will aid the consumers to keep track of their transactions and account balance. It will prevent the account holders from making transactions which can lead to unintended overdrafts. The Chime mobile app will notify users immediately of transactions made on their accounts. Several bank institutions offer overdraft protection which guarantees its consumers a lower fee of $10 to $12.50 per transfer compared to an average of $35 overdraft or non-sufficient funds (NSF) charge. It also ensures purchasers that businesses will not reject or decline a normal overdraft transaction. Lawmakers created a federal law in 2010 which made opting out overdraft protection services as the default option for consumers. This action can lessen the overdraft fees for account holders when their balance is insufficient. The most convenient way to steer clear of overdraft fees is to avoid spending more than the available account balance. This, of course, requires you to keep up to date with your current balance. Mobile banking offers an easy solution to this problem. With accounts like Chime you can check your account balance at any time from anywhere. Which Banks Don’t Charge Monthly Fees? Adulting is hard and one of the most important parts of being an adult is having financial stability. Money management is, in fact, a lot easier and safer when money is kept in a bank. It provides better security and convenience for everyone. The problem with traditional banks, though, is that so many of them charge fees to open and maintain an account. The thought of paying for these charges doesn’t sound too appealing, especially if you want to save more money. Fortunately, there are ways to avoid these outrageous banking fees. Read more to find out how. Bank accounts, particularly checking accounts, are the most easily accessible place to keep your money. It acts as a depository for your funds. Need to pay the bills or the grocery? Then just debit it to your account or withdraw some cash with the use of the ATM or debit card. It’s also a great financial management tool. You can review your current statements, set budgets, and even start to save money by properly using a checking account. You can make cashless transactions. A checking account makes it possible for you to go out without carrying any cash. Most all stores and merchants now support the use of debit cards as a form of payment. But you can easily get cash if you need it. In those instances where you need some cash, you can just withdraw it from an ATM using a debit card provided with your account. Direct deposit. Direct deposit means your paycheck is sent directly to your account. No more going to the bank and waiting in line. It is safe and secure. Your money is much safer being managed by an insured bank than hiding under your mattress at home or invested in a risky venture. Pay your bills anytime, anywhere. Almost every bank today has online and/or mobile banking. This can come in handy at times when you need to immediately pay the bills. If you do not have the time to pay them personally, you can just do it with your online banking account. You’re also doing Mother Nature a big favor. Online and mobile banking applications means less paper is used for everyday transactions. In fact, you can opt out of receiving paper statements altogether at most banks. If you are now convinced that opening a checking account is for you, the next step is to determine where you should open it. Choose a bank where you would entrust your money to have guaranteed security and growth. They are the two most important factors when opening a bank account. Think about the most suitable option for you in order to be financially healthy in the years to come. Another choice is whether to put your money in a traditional bank or a digital banking account. Traditional banks are those with typical brick-and-mortar locations. Most major national banks are considered traditional banks. Meanwhile, a digital or online banking account has no physical bank and they render their services strictly online. In a survey conducted by the American Bankers Association in August 2017, 40% of Americans tend to use the internet for their banking purposes and 26% of Americans use their mobile phones for banking. The rise of smartphones has contributed greatly to people changing the way they live their lives, including banking. In the same survey, it reveals that young adults in the age group of 18-29 years old use mobile phones to access their bank accounts. It goes to show that more people are leaning towards this much easier way of banking. After you have chosen your bank, reviewing their checking accounts is the next step. Pretty much every bank offers different kinds of checking accounts. Most offer similar features and services, but always look closely at the fees. How Do Banking Fees Affect You? It’s almost impossible to avoid banking fees. Examples of common checking account fees are minimum opening deposit, monthly maintenance fees, overdraft fees, ATM fees, foreign transaction fees, and lost card fees. In a 2017 report, it was stated that Americans pay an average of $329 a year to their bank which is mostly due to overdraft protection fees. These hidden charges burdens the consumers greatly while making the CEOs of these large banks wealthier. The three most often paid fees on checking accounts are overdraft fees, ATM fees, and monthly maintenance fees. Overdraft fees occur when you spend more than the available amount in your checking account. ATM fees, on the other hand, are charged when you withdraw money from a different bank other than yours. Monthly maintenance fees are probably the most common checking fees. Almost all major banks impose it regardless of how you use your account in a month. Different banks offer slightly different types of checking accounts. This is to cater the different needs of their own consumers. To get a clearer and better understanding of it, we are going to compare checking accounts of major banks like Wells Fargo, Chase, Bank of America, BBVA Compass, Citibank, and PNC. All of them offer checking accounts with different monthly service fees which could be waived under some conditions. If you are 17 to 24 years old. While BBVA Compass offers a ClearChoice Free Checking account with the same $25 minimum opening deposit, it is the only bank reviewed that does not have a monthly service charge. But it’s checking account still has other banking fees imposed on it including overdraft fee, paper statements, stop payments, card replacement fee, and out-of-network ATM fees. The only thing that it charges the consumer is when you withdraw money from an out-of-network ATM. That is not really a problem. You are able to withdraw from an ATM that supports Visa cards which, fortunately, can be found in a lot of places. The Chime Account is a great relief for people who do not want to subject their hard-earned money from unnecessary fees. Now that you have an overview of some major banks’ banking fees and Chime’s free checking account, where do you intend to put your money now? If you are more inclined to traditional banks, just keep in mind that they have much more banking fees than online banking accounts. The fees might give you a headache especially if your income is in the lower side. Read more about different banks and their checking account offers. It’s best to compare them and determine what account suits you the best. Aside from traditional banks, you should also consider online banking accounts like Chime which is easier and accessible. Compare their banking fees and think about how it will affect your money. There are several banking fees such as minimum opening deposit fee, monthly fees, overdraft fees, and ATM fees. Would these charges leave your money intact or would it take a hit? Or could you avoid them all completely? Weigh everything once more and then decide. Make sure that you are 100% certain about your chosen bank. Think about the growth of your money in the long run. Let’s face it. Banking fees can be intimidating and sometimes banks don’t share them up front. Thinking about the monthly charges that will be deducted from your account is saddening. Big banks impose most of these banking fees, leaving consumers to just comply with them and have a part of their money taken from them. Luckily, there are already new options like Chime that offers a much more convenient way of banking with no hidden fees. Without the unnecessary fees, you will be able to spend your money any way you want without sacrificing some unlike when you have to pay some banking fee. To summarize, being able to manage your finances as early as possible is a good start on being an adult. It is best to have a safe and secure way to store your money so you have something to spend especially in times of emergencies. There are a lot of banks to choose from and you should try to learn more about each before opening a checking account. Major banks impose banking fees such as monthly maintenance fees, so it’s a good idea to compare bank by bank in order for you to determine where your money will not suffer. However, there is already a more convenient and efficient way to keep your money without worrying about your money being deducted monthly. 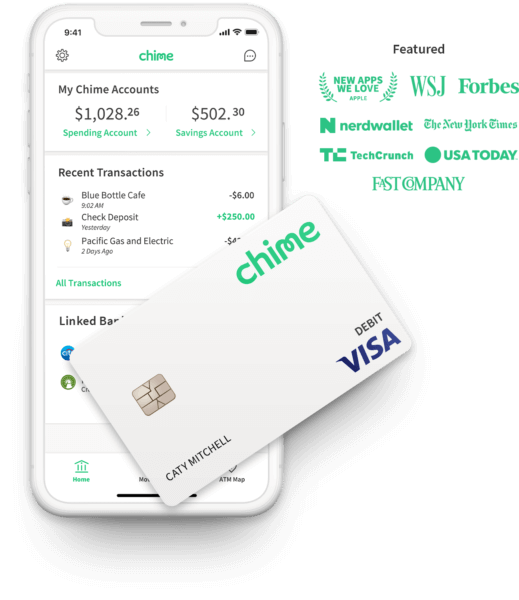 Chime is an online banking account which lets you open an account with the use of your smartphone or computer. What’s more, it allows you to view your account on its mobile banking app whenever, wherever. No more leaving the house and going to the bank just to check the status of your account. If you are not a fan of pesky fees, consider applying for a Chime Spending Account. It promises no hidden charges so you will be able to enjoy spending your money. Also, you will be able to manage your finances wisely with only the use of your smartphone. With only a computer and an internet connection, you can open your own Chime Spending Account. It’s very easy. There’s no need to leave your house and fill out a paperwork. Your personal information is protected so it’s also safe. You don’t even need to pay an opening deposit fee! The mobile banking app helps you to keep track of all your transactions and balance. The direct deposit feature allows you to direct your pay straight to your account. With it, you also receive your pay earlier than others, giving you more time to manage your finances. Easy, right? You can do it without even breaking a sweat. Plus, there are no hidden charges that intimidate you from opening an account. To learn more about Chime and how to avail of their free checking account, visit their website at https://www.chimebank.com. You are only a few clicks away from managing your money conveniently, efficiently, and wisely. So, what are you waiting for? It’s no secret that big banks are getting richer off the backs of everyday people. What’s different now is that we know just how much richer. According to a new report from the economics research firm Moebs Services, banks made a record-setting $34.3 billion in 2017 alone. That’s more than $100 per year for every last man, woman, and child in the United States. It seems especially unfair since 75% of the people paying these fees already have problems paying their monthly bills, according to a Pew Charitable Trusts study. About now you may be wondering how you can avoid troublesome overdraft fees. Read on to learn about these fees and how to pocket more of your hard-earned cash. Remember the 2008 financial crisis? One of the byproducts of that chaos was that banks needed to start asking for your permission to enroll you in overdraft protection services. They instead billed you for this service – in the way of fees. Asking for your permission first was supposed to make the banking process more transparent. But, banks found sneaky ways to get around it, such as by not fully explaining your options and getting you to sign on the dotted line while you filled out a barrage of paperwork necessary to open your bank account (do you remember consenting?). Overdraft fees are on the rise. Back in 2000 when the Backstreet Boys were still a thing, big banks charged a median overdraft fee of $18, according to Moebs Services. If that price kept pace with inflation, today’s price should be $25. Instead, it’s $30, meaning that banks are charging more than their fair share. Even credit unions—which are usually lauded as being more consumer-friendly—are charging increased overdraft fees. Again, back in the year 2000, most credit unions were charging a median overdraft fee of just $15, three dollars less than banks. If credit unions kept pace with inflation they should be charging $20.86 per overdraft, but instead, they are charging a median fee of $29—almost double what they were charging 18 years ago. One glimmer of hope is that the economists from Moebs Services believe that the rise in overdraft fees has currently peaked at around $30. Of course, only time will tell. Believe it or not, it is possible to find a bank that doesn’t charge any overdraft fees. Because these fees add up, it can be well worth your time to switch to a fee-free bank. In addition, Chime Bank also processes your direct deposit paycheck two days earlier than most banks, which can be especially helpful during those tricky times when you’re still living paycheck-to-paycheck and most likely to incur overdraft fees. Did you know that you can actually opt out of overdraft coverage at any time? If you didn’t know this, you’re not alone: 70% of banking customers weren’t aware of this either, according to a Pew Charitable Trusts study. This means that any purchases you make that will overdraw your account will be declined. You won’t be charged for that purchase and you won’t be slapped with an overdraft fee. Yet beware, this still isn’t a foolproof, fee-free option. If you pay for something with insufficient funds in your account, you may have to pay a non-sufficient fund (NSF) fee. Luckily, debit card transactions and ATM withdrawals aren’t subject to this tricky fee; those purchases will just be declined outright with no NSF fee. On the other hand, if you write a check and don’t have sufficient funds to cover that transaction, banks can charge you an NSF. You can also get dinged for making a recurring electronic payment that results in a negative balance. One of the most common ways people end up with overdraft fees is when they write checks and forget to reconcile their spending with their budget. Either that or they forget to check on their checking account balance altogether. To avoid falling into this trap, it’s a good idea to both keep tabs on your checking account and update your budget every few days. If you’re out and about, try to carry extra cash or a credit card for emergencies. By using your credit card, for example, you can pay off the charges in full so that you won’t owe any interest charges. At least this way you won’t be staring at overdraft or NSF fees if you inadvertently pay for something without enough funds in your bank account. Just remember, where there’s a will, there’s a way. Even though Americans are paying more in overdraft fees than any time since 2009, this doesn’t mean that you need to fall prey to these charges. You can instead follow these tips to avoid overdraft fees. You can also switch to bank that will never charge you fees. After all, it’s your money and you deserve to keep it. What is a Monthly Maintenance Fee, and How Do I Avoid Them? What if you asked a friend to watch over your precious jewels and she said, “Yeah, no problem.” But later on, she hit you up for a monthly fee for babysitting your jewelry. How would you feel, especially as she didn’t tell you upfront about this so-called fee? Probably a little peeved, right? A bank account with no hidden bank fees. No monthly fees. No maintenance fees. No overdraft. Unfortunately, this kind of scenario happens all the time in the form of monthly maintenance fees at numerous banks. It’s true. Many financial institutions charge a monthly maintenance fee if you don’t meet certain requirements. As a consumer, it’s important for you to be aware that your bank account may be charging you fees. Along these lines, you should know how to avoid paying them. What is a monthly maintenance fee? A monthly maintenance fee is a fee charged by a financial institution to a customer if certain requirements aren’t met. For example, some banks may charge a monthly maintenance fee if your account balance is under a certain threshold. These fees are charged by banks to help “maintain” your account, kind of like a service fee. Banks thrive off of managing your money and if you carry a high balance in your account, you may get hit with a fee. How do I avoid monthly maintenance fees? Paying a monthly maintenance fee can be annoying. What’s worse: you may not even realize you’re getting charged. I remember a friend of mine telling me she was scrolling through her Bank of America account and noticed she was being charged a fee. Just how much was she paying? The Bank of America monthly maintenance fee was $12 per month. In order to avoid the fee, she had to have a certain balance or sign up for direct deposit. The issue? She didn’t have a steady job at the time and her income was irregular. My advice to her was to break-up with the big bank and open a bank account that had a free checking account and no fees. Not all banks charge a monthly maintenance fee. For example, many online banks and credit unions do not charge any fees. However, many large financial institutions do charge monthly fees and these charges vary from bank to bank. Here’s a closer look at the monthly maintenance fees at big banks and how you can avoid them. How to avoid Bank of America monthly maintenance fee: Maintain a balance of $1,500 each day or make one direct deposit equal or greater than $250. How to avoid Chase monthly maintenance fee: Maintain a balance of $1,500 each day, have $500 or more in your account through direct deposit, or have $5,000 or more in various qualified accounts. Fee: $6.95 per month with electronic statements or $8.95 per month for paper statements. How to avoid US Bank monthly maintenance fee: Have a balance of $1,500 or make $1,000 or more total in direct deposits. How to avoid TD Bank monthly maintenance fee: Have $100 or more in your account every day. How to avoid Citibank monthly maintenance fee: Have $1,500 in qualified accounts or make one eligible direct deposit and bill payment each month. How to avoid Wells Fargo monthly maintenance fee: Have 10 qualified debit card transactions, make direct deposits of $500 or more to your account, or maintain a $1,500 balance every day. How to avoid PNC monthly maintenance fee: Make direct deposits of $500 or more or maintain a $500 balance each month. As you can see, monthly maintenance fees vary by bank accounts and each financial institution has different requirements. While you may be able to meet the requirements to avoid bank fees, there is a better way to never worry about paying fees again. You can simply open an account at an online bank or credit union that doesn’t charge fees. For example, Chime has zero monthly fees so you never have worry about maintaining a certain balance to avoid fees.